11 out of 11 (100%) reviewers said they would recommend this vehicle to a friend. I had a chance to test drive volkswagen sharan during an MCF event . My first impression was , this is a Big car and after test drive I realized that , this is the best Family SUV . In interior it is really spacious and can accommodate my big family of 4 children and the boot is quiet big as well to carry the Lugguage. The Engine is more powerful , and easy handling as well. Stepping from the Passat which we owned for 9 years, this is an easy buy. The car is huge on the inside, with the basic items that most would like in a people mover, including full size 3rd row of seats, easy to slide/move/adjust 2nd row, sun&moon roof, lots of cubby holes for storage. The engine is an easy to love item, powerful enough to pull forward from standstill with sufficient poke to startle almost any standard car. The 350nm of torque also means that this huge car surges forward at the prod of the throttle, quickly reaching illegal speeds and beyond. The new multi-media interface provides a bunch of customisations in addition to the built-in rear view camera view. From bluetooth connectivity, to a reduced set of phone applications (Android Auto and Automate compatible). - The lack of memory seats! - The sheer size of the thing makes it a challenge in tight corners and narrow spots. Upgraded from Honda Stream to Sharan. Was looking around for upgrade and replacement of Honda Stream and was looking at Honda Ody, Toyota Wish, C4 Grand Picasso and lastly Sharan. Sharan was not in my top choice of selection initially due to its high price. However, after reviewing all the options, I decided to commit to a Sharan instead. Do not want to change from Honda to Honda (driven Honda for past 15 years), Do not want to change to parallel grades like Wish. - Most importantly, my three kids love it. - Bad fuel consumption. I am a heavy footer. This is to me, quite an issue. Force me to change my driving habits. A bit disappointing in that aspect. Was previously driving Honda Stream MPV and family siting behind keep complaining too cramp, the car started having problems Vtec leak, Transmission problem after 7+ years. Saw this Hugh VW Sharan Monster MPV on the Road with Good engine achiving 0-100 in 8.3s made me consider this car. Engine was actually GTI engine can easily stage 1 mod up +50Hp which acceleration easily 7.3s. 0-100s or Much more..
- Practical, Solid Feel, Good Sound Insulation, Ride High, Auto Parking, Good Parking Sensors. - Fast, Smooth, Quiet and Instant acceleration. You don't feel the speed ! - Huge, Wide , Long, Heavy and Stable Car. - Most MPV can`t catch up , make them Smell Smoke. - Engine Sound Solid during acceleration. - Simple Interior as compare to Jap Cars. - Slightly high idling at 800-950rpm due to Turbo. - Acceleration Paddle too Sensitive. Having driven Toyota Estima for the past 7 year, it is time to look for a new car and I come across this monster mpv. This is the first conti car I owned and I must said it exceed all my previous Japanese made car. So far I have clocked 6000km over 3 month and travelled to KL for a few times, travelling on NSHY running at 130-140km is a breeze and I must said that this car is more stable than Estima. This mpv has all the power when you needed and it has a very luxury interior. Fuel consumption is a bit on the high side and averagely I can get about 8.5km/L, but what you can get for your rewards is a turbo engine that can run from 8 sec from still to 100km which other mpv can't give me. At current COE and Volkswagen Singapore is giving promotion prices, I must said go for a test drive, you will not regret. 1) This MPV comes in full specs with moon roof,original hand free Bluetooth, cruises control, paddle shift, auto hold, electric tailgate , Gps and many more that you could think of. 2)A very advanced auto park that comes with parallel and vertical parking plus auto out in case the slot you parked is to small that you don't have the confidence to get out on your own. 3)A very solid sound system that this is the first time I don't have to change the speaker , no need to install sub woofer. In my previous 7 car I owned , I change it before 1 month. 4) This Sharan has an astonishing 11 air bags that you will only find in luxury cars. ( 6 side air bags on top, driver and passenger seat, steering, passenger front board and driver knee air bags ). 1) This full sized Mpv has a smaller storage place behind, Estima has a much bigger storage. 2) Price a bit on the high side but what you can get is a OMV of over 40K. 3) GPS is not update. Have tested the new Honda Ody, Sharan & Previa - all 7 seaters with full specs. I must say that Sharan came up tops in terms of safety, electronic features, handling, power and best interior finishing. Size wise, Sharan is comparable with the Previa; In my opinion, the Ody is the smallest amongst the 3, including the boot space. Love the sliding door function for all 3. Efficiency wise, can't really tell but I guess the TSI 2.0 engine for Sharan should come up best - at the very least, the road tax will be the lowest amongst the 3! Value wise, Sharan has the highest OMV with Ody being the lowest; price wise, Previa most expensive with Ody being the cheapest. In conclusion, committed myself with the Sharan! Don't know where to mount the LCD monitor other than the headrest type due to the panoramic roof. I collect the Sharan on end Feb 2014. Collection process was good though few stickers residual was found on the top tailgate. Probably this was due to the high of the car. Though I had been driving Japanese compact MPV for 10 years, it still took sometime to adjust to the size. The power and pick up was great and very quiet inside. One disappointing point is the rattling sound from front passager aircon outlet when accelerating between gear 4 to 6 after 3 days of driving. Had sent in for troubleshooting but issue still not resolved. I believed I am one of the early buyers when I collected it in July 2012. I bought it after comparing to the available MPV in the market. It may cost a little more but I noticed its a car built with many futuristic features designed for family use. We have been using it for the last 18 months and I must say I intend to keep it for a while. Just collected the Sharan for a few days now and I like it pretty much. Its quite a monster and the parking takes some getting used to. There are some many little features like the door lighting to help you see where you are going in dark places. Really nice experience for my first conti ride. It is not perfect but there is plenty to like about this car. 1. The drive is very good for a car of its size and handling is tight. Obviously it cant handle a corner like a sedan but I have compared it to the Elgrand and Vellfire before deciding on this. 2. It has sufficient power even when fully loaded. 3. The ICE is decent but an additional amp would help a lot. 4. Installed the original Bluetooth set and making calls is breeze now. 5. There is a lot of leg room for the passengers and this is an ideal car if one is ferrying a kampung like me. 6. LED Lighting is very nice. 1. Interior and Wing mirrors could be BIGGER. 4. Why do we need seat warmers?? I was down at Volkswagen showroom a couple of weeks ago and happen to chance upon the Volkswagen Sharan, I must say that the entire concept of the car is very in line with the Volkswagen matra. Simply to use yet elegant looking. The 2.0TSI engine is certainly capable of propelling the car in an energetic fashion. Can't hold a candle to my currently 2.0 normal aspirated Japanese engine. Deceiving display car. Price tag does not include many of the features shown in the car showroom. Authorised Distributor Volkswagen cars are Volkswagen Arteon Reviews, Volkswagen Beetle Reviews, Volkswagen Beetle Cabriolet Reviews, Volkswagen Beetle Dune Reviews, Volkswagen Golf Reviews, Volkswagen Golf GTI Reviews, Volkswagen Golf R Reviews, Volkswagen Golf SV Reviews, Volkswagen Golf Variant Reviews, Volkswagen Passat Reviews, Volkswagen Passat Variant Reviews, Volkswagen Polo Reviews, Volkswagen Tiguan Reviews, Volkswagen Touran Reviews, Volkswagen Transporter Reviews. Parallel Imported Volkswagen cars are Volkswagen Amarok Reviews. sgCarMart is the number one car site for buying Singapore cars, including new cars, parallel import cars, Toyota, Honda, Nissan, Volkswagen, Mitsubishi & BMW. We have new car dealers comprising parallel importers, authorised car distributors, and used car dealers who have the New Volkswagen Sharan latest price Find new car pricelists, new car launches, new car promotions, new car reviews, latest car news & car articles. 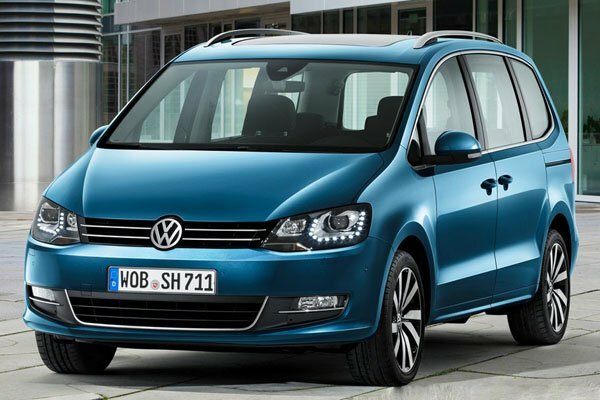 Read the New.Volkswagen Sharan consumer reviews to help you decide on buying a car. Also join our car discussion and forum discussion for car reviews, motoring news & motoring guides. Visit our partner sites who have job openings for Singapore jobs, Singapore classifieds, mover and real estate properties for sale.